The Electrohome Signature Vinyl Record Player: Good or Not? In the times we live in, there are many ways to play and enjoy music. From the Apple iPod to smartphones and personal computers, music can now be enjoyed in a wide variety of ways. In the 1950s, there was only one way – the vinyl record player. You had to buy a vinyl record, take it out, place it on the turntable and then play your music. These days, things are a little different. There are many multifunctional music players, but none quite like the Electrohome Record Player. This record player seems to be able to do it all, combining the old with the new and seamlessly too. This is a record player with built in speakers. There are a few features that make this record player stand out from the competition. Electrohome combined experience gathered over the better part of a century with the knowledge available in recent times to create a record player with a retro feel and modern capabilities. This Electrohome turntable is the best of both worlds. At first glance, it reminds one of the vinyl record players of the old world. It is a cabinet-style record player and its exterior crafted from natural wood with a walnut finish. 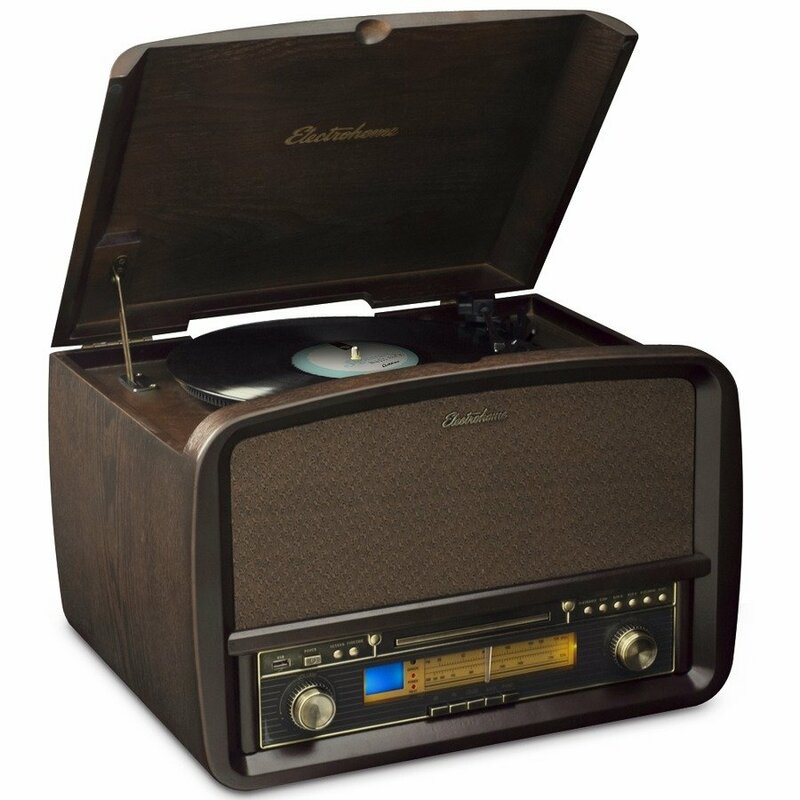 It also has old-fashioned volume knobs and buttons, AM/FM-radio and a turntable that guarantees that you can enjoy music the old-fashioned way. It is in every sense a retro record player, but with modern features. On the front of the player, there is a CD tray, an Open/Close CD Tray button and a USB port. With this turntable, you can enjoy music however you’d like: old school or new school. Along with being able to play vinyl records, the Electrohome Vinyl Record Player can also convert these records into any format you require. All you have to do is connect your USB drive as you play a vinyl record and press record. 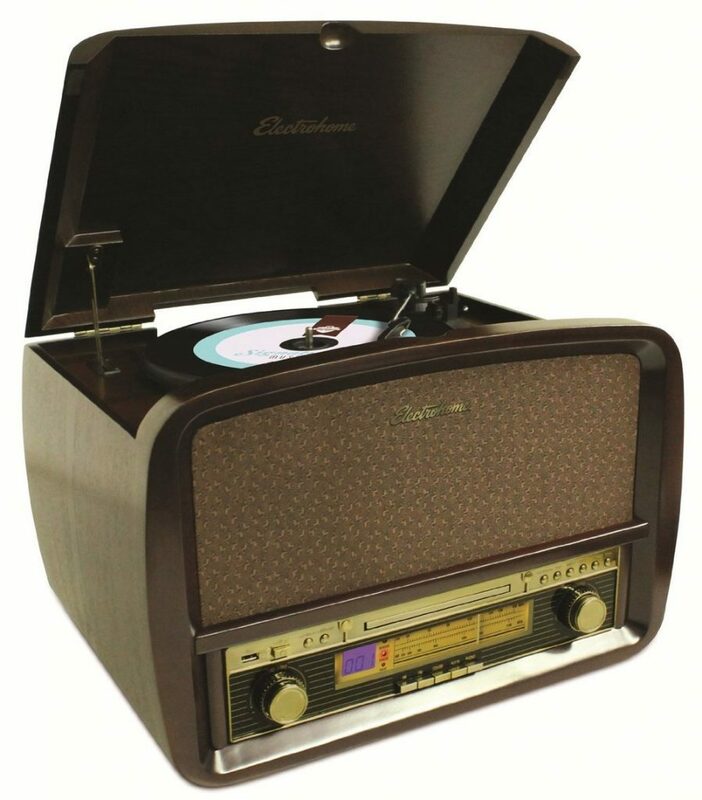 And if you would prefer to listen to music on your phone, you can get a Bluetooth adapter, and connect to it through your phone and enjoy modern sounds from a retro record player. For all the functionalities included in this record player, it is unbelievable that this is a record player under 200$ . The price seems fair considering all that it does, and that is one of the greatest deals for a multifunctional record player ever. If you want one of the best vintage turntable, you will not go wrong choosing this Electrohome record player. It has 4 speakers inside, and this provides you with as close as possible to a surround system sound. It, however, fails to produce bass sounds efficiently. No bass sound is only a slight drawback, and not necessarily a reason not to purchase it. · A turntable with a belt driven mechanism compatible with all sizes of records from 7-inch to 10 and 12-inch records. 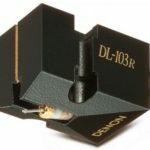 · A ceramic needle with a diamond tip that produces high-quality playback without scratching records. · USB port with which to connect a smartphone or USB and play songs from it. · Vintage design from authentic wood with a walnut finish makes this record player perfect for the aesthetics of the room it is placed. · Can convert vinyl records into MP3 files without the use of an external driver. · Perfectly tuned acoustic cabinet and four speakers to deliver high audio quality. The retro look and feel of this record player make it an attractive addition to a room’s aesthetics. The authentic wood exterior makes it a beautiful addition to any room. Apart from the issues with playing bass sounds, this record player’s 4 built-in speakers come together to produce room-filling audio of high quality. MP3 players, USB drives, and smartphones can be connected to this record player, and this allows for more choices of songs to be played. This record player can play a broad range of audio formats from LP to MP3/WAV. It is lacking when it comes to playing bass sounds, so music with a lot more of a bass component might not be particularly enjoyable. One would expect that a device like this would have Bluetooth connectivity, but this Electrohome turntable does not. A way around this though is to connect a Bluetooth adapter. Unlike regular audio players in recent years, this record player would require routine maintenance. The turntable would need to be cleaned periodically to keep it in optimal working condition. Also, because it is made from wood, it should not be held close to any source of moisture, or it may rot. Electrohome is not an audio player that you can just slip in your pocket and take with you wherever you go. It is a lot bulkier than your regular iPod. It does not travel well. From this brief review, it is clear that the Electrohome Vinyl Signature Record Player’s pros far outweigh its cons. Just the true multi-functionality is a fact that makes this record player stand out from the competition. It is clearly not for everyone, though. However, vinyl records are coming back, and if you would like to have a record player that can handle almost all formats of audio, then this Electrohome record player might just be the thing for you. For all its faults, it still stands atop all other record players in its niche. The Electrohome Vinyl Signature record player deserves a 5 out of 5-star rating. However, we give it a 4.9 out of 5 because a record player this good in this day and age should have Bluetooth. If you are not satisfied with this record player, you can always read this article about this great vintage turntable: Pyle PTCDCS32BT Review.